Kerala backwaters Tour are a chain of brackish lagoons and lakes lying parallel to the Arabian Sea coast otherwise known as Malabar cost of Kerala state in southern India. The network includes five large lakes linked by canals, both man made and natural, fed by 38 rivers, and extending virtually half the length of Kerala state. Kerala backwaters tour were formed by the action of waves and shore currents creating low barrier islands across the mouths of the many rivers flowing down from the Western Ghats range. Kerala backwaters tour is rapidly increasing because of the various need that are met for the tourist visiting Kerala backwaters. God’s own country the promotional line for the best backwaters of Kerala. the needs for tourists are met by the Kerala backwater hotels. So we have come up with a list of best backwaters in Kerala. Alappuzaha has one of the best backwaters in Kerala. It’s often referred to as Venice of the East. These backwaters of Kerala is blooming with Kerala backwater tourism. This region is heavily populated with tourist. These backwaters of kerala is well know for the kerala backwaters tour and hospitality we provide for our guests. Well, Kerala backwaters tour are filled with palm fringed narrow canals winding through the vast expanse of paddy fields and the neat tiny hamlets lined up along either sides of the canals are sights one can never forget during the Kerala backwaters tour. Alleppey backwaters is one of the alluring backwaters of Kerala and also famed as one of the vibrant tourist spot and best backwaters in Kerala. The charisma of large network of inland canals makes it apt with the sobriquet “Venice of the East” and offers Alleppey its lifeline. Alleppey was once a renowned port along the Malabar Coast and one of the happening centers of trade. Even today it retains its charm as one of the must visit backwaters tour Kerala and till recent times it is the hub for Coir industries, handicrafts and seafood farming. Kerala Backwaters houseboat cruise along the backwaters of Kerala especially along Alleppey give one actual experience of the village life style; toddy tapping, fishing, coir-making, prawn farming etc., which linger more or less natural over the years. Alleppey boat house is one of the best houseboats for backwater cruise. Alleppey backwater day tour is much attractive for tourists ,which have time period of 5 to 6 hours cruise in backwaters. Alleppey boat house rates are affordable to all with best quality and facilities. Alappuzha houseboat rates for one day can be learn by the given link. Alleppey which form the main part of Kerala Backwaters network has the peculiar geographical feature of having the water in level with the land. Kerala backwaters tour is centered on with typical houseboat cruises along the blue lagoons and coconut groves of Alleppey and nearby regions. A sail in a houseboat through the enchanting Backwaters of Alleppey will grab the hearts of travelers. Cruise along the narrow canals rich with coconut grooves and experience the panoramic view of paddy fields and the precise tiny hamlets lined up along either side of the canals. Alleppey Houseboats are very special for Kerala backwaters stay and you can feel the beauty of Kerala backwaters over there. Alappuzha boating will give very pleasure and mind blowing views. Most of the tourists search for Kerala Alapi boat house for first time because they don’t know much about the place and houseboat. For Alleppey houseboat booking their is lots of tour operators in Kerala. In your houseboat stay you can also plan for an outing in Alappuzha tourist places. Kerala backwaters boat house gives pleasant mind during the cruise and there are also other backwaters destinations in Alleppey. This bewildering labyrinth filled with various water bodies which make them Kerala backwaters. These backwaters in Kerala are lined with tropical greenery and it preserves every bit of Kerala lifestyles that are completely hidden. Backwater tours take place in this beautiful vista. This region of Kerala backwaters is known as Rice Bowl because of the amount of paddy grown around the backwaters in Kerala. Kerala backwater tourism impacts this region massively. Kerala backwater hotels function on daily basis. This region can be know as the best backwater in Kerala. Backwater tours are regularly visited by different nationality for its diverse scenery and vistas. In this region of Kerala backwaters farming methods are done below sea level, Kerala backwaters are well known for its farming methods. This region is highly recommended to book Kerala backwater hotels. This is situated 15 kilometers away from Kottayam which is on one of Kerala backwater region. Its situated on Lake Vembanad . Its one of the most beautifulest lakes and one of the highly recommended backwater tours in Asia. This region is a very picturesque area. Kumarakom is a small village in Kottayam , this region is filled with backwaters of Kerala. Backwater tours are highly recommended in this region. Kerala backwater tourism is really high in this region. An over night stay wouldn’t be enough to digest the backwaters in Kerala,Kumarakom. Most of the houseboat tours are held on Kerala holidays. 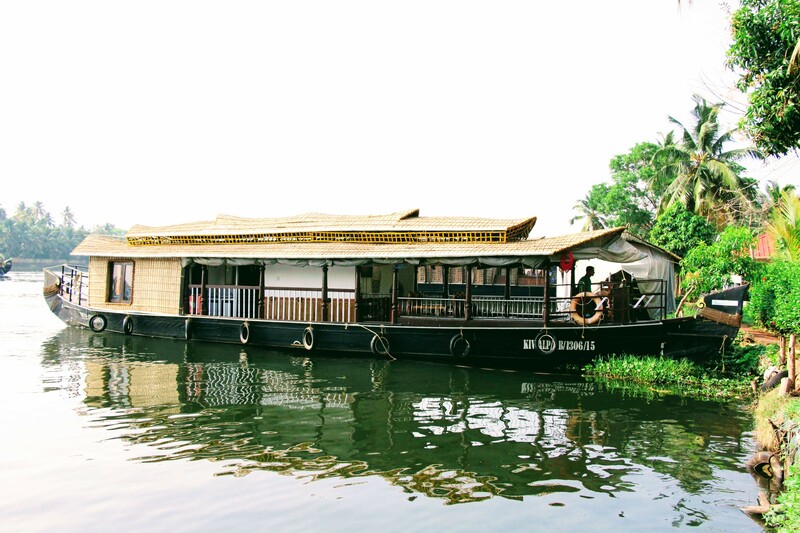 Kerala boat house is famous for its eco friendly cruise through the alluring Alleppey Backwaters. Kochi allures the tourists with its antiquity –the quaint ambience and monuments of Fort Kochi and Mattancherry — with its modernity – the bustling MG Road, Broadway and Marine Drive — and finally with its nature’s bounty – the stretch of Kerala backwaters. 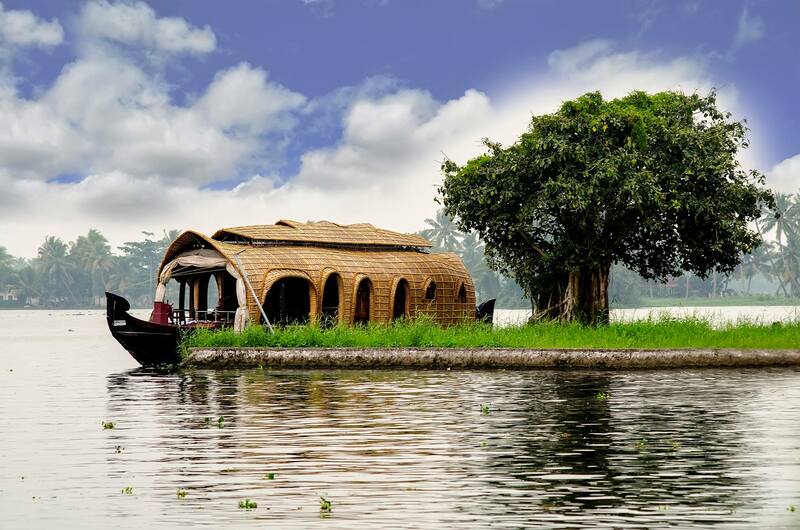 A ride on a country boat through the backwaters offer you a great picture of the land, with many islands scattered here and there and lush greenery along the banks. 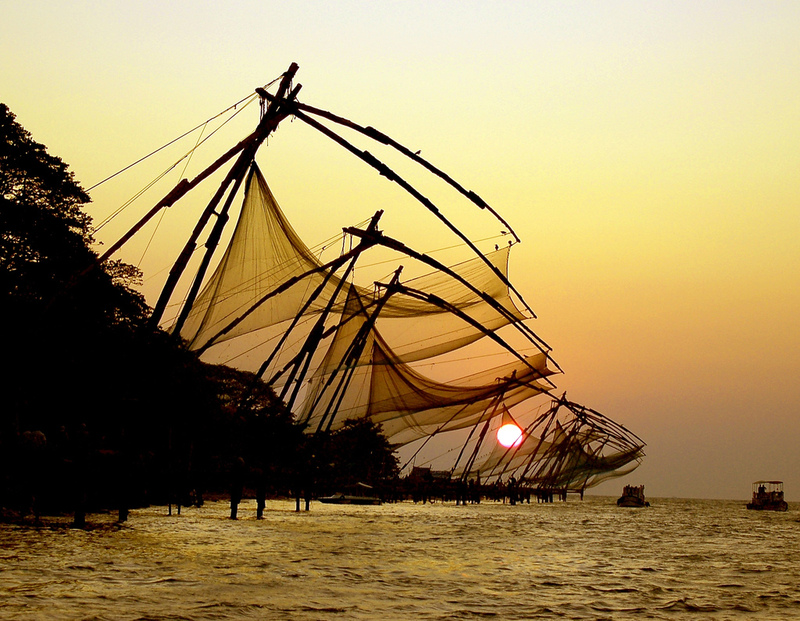 Another characteristic feature of Kochi visible while on a backwater cruise is the sight of Chinese fishing nets. You can also watch the cargo ships, passenger ships or boats passing by while you are on boat ride in the Kochi backwaters. Kettuvalloms or houseboats too are seen plying through the backwaters of Kochi. Kochi is indeed the Queen of Arabian Sea which is ranked at 6th in the best tourist destination in India by the Outlook Traveller Magazine. Cochin backwaters houseboat is comparatively cheap comparing to Alleppey Houseboats. Eranakulam to Alleppey is a long tour that opt by some of the foreigners in their Kerala tour packages from cochin. If you are taking a ride near the Marine Drive, it will be the skyscrapers that capture your attention first. But as the boat moves, you can feel the change in ambience . The traditional tile-roofed houses with a quaint charm appears when you near West Kochi, the arresting building of Cochin Port Trust interests you when you near the Willington Islands and thus the tour offers you various pictures at various locations. Cochin boat house price is cheaper and cost effective. Cochin houseboat day trip starts from Marine Drive. The distance from Cochin to Alleppey is little long but you can enjoy the Kerala boat house through out your trip by the excellent views. Cochin boating is providing in Marine Drive with low costs and in every days. Well, Kochi is know as the queen of the Arabian sea. There are various islands around Kochi which increases Kerala backwater tourism. Backwater tours take place every day and various routes are there to the four islands surrounding the city. Backwaters of Kerala , Kochi have various international influences . The Dutch , Chinese , Portuguese and the British have left there in influences in the back waters of Kochi. The traditional culture and the foreign influences merge together creating breath taking views and scenery along the backwaters of Kerala. Kerala backwater tourism in Kochi is developing rapidly for the demand tourists have. Each tourist fulfill their mind by reaching Cochin in their Kerala trip. Kerala holiday packages in houseboats are arranged for three to five days, that starts from Cochin and covers Alleppey, Kumarakom, Trivandrum etc. This beautiful part of Kerala backwaters is situated 6 kilometers away from Thiruvananthapuram (Trivandrum) the capital of Kerala. there is a different type of Kerala backwater tourism. The guests prefer to canoe or kayak their way through this scenic back water of Kerala. Thiruvallam is the meeting point of two Kerala backwaters rivers Killi and Karamana. Kerala backwater hotels are found in this region. It might not be one of the best backwaters in Kerala. Kerala alapi boat house journey is entirely different when comparing with Thiruvallam backwaters. Best backwaters in Kerala ? We wouldn’t say it but the amount of scenery you revive while you’re on a backwater tour around Kottayam region. The best backwater tours in Kerala, Kottayam are filled with beautiful beautiful paddy fields , highlands and extensive rubber plantations. Kerala backwater tourism is blooming in this region of Kerala. This region of Kerala backwaters have panoramic views and various shades of green. These backwaters of Kerala are bordered on the side of the Western Ghats on the east and on the west Kottayam overlooks Kuttanad’s paddy fields. This region of Kerala backwaters and beaches are internationally renowned by most . Backwater tourism in Kerala is not the only thing that keeps this region going , its even the cultural heritage gives this place on of the most visited picnic spots by Indians and foreigners. The best backwater in Kerala Thiruvantapuram is Thiruvallam and Veli . 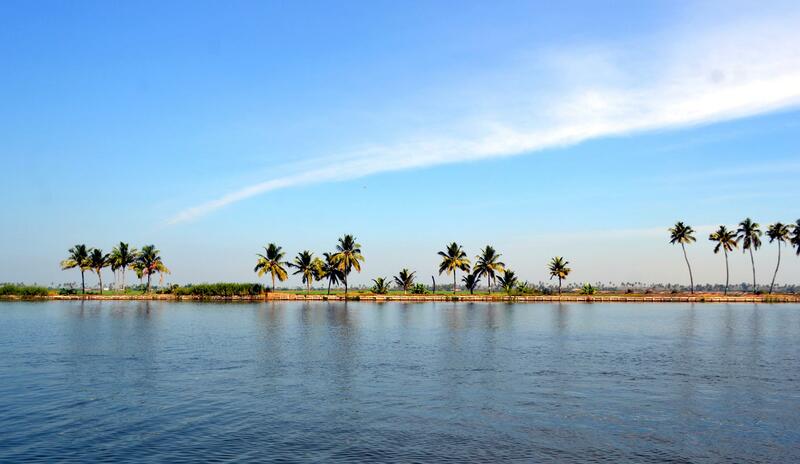 This beautiful village is placed between Veli lagoon of the Arabian sea and Kerala backwaters. The lagoon separates the backwaters of Kerala with a narrow patch of sand. Placed in the southern-most district of Kerala, Trivandrum equally shares Kerala’s fame for offering lovely backwater experiences. This capital city of Kerala is slightly away from the main backwater network of Kerala but it surely is worth-visiting because of its enchanting scenery. Unlike Lake Vembanad, the backwaters of Trivandrum is not a single water body but comprises of a number of water bodies that are sprinkled at several locations, offering a different experience to the tourists. As the lagoons and crystal clear lakes lie just outside the city, Thiruvananthapuram backwater tours can be smoothly coupled with sightseeing. The historically and culturally rich Trivandrum backwater stretches include Veli backwaters, Akkulam, Thiruvallam, Kappil and more region that are going to provide you memorable views. Just go aboard a Ketuvallam (houseboat) and get all set for a tranquil experience. Trivandrum backwaters is one of the best backwaters in Kerala. Kerala tourism promotes each backwaters for the backwater tours. Kollam (Quilon) Its the starting point of Kerala backwaters . This Kerala backwater region was on of the leading trade routes/center of the ancient world. Astamudi Kayal the gateway to the backwaters of Kerala. The city is covered with 30% of Kerala backwaters. 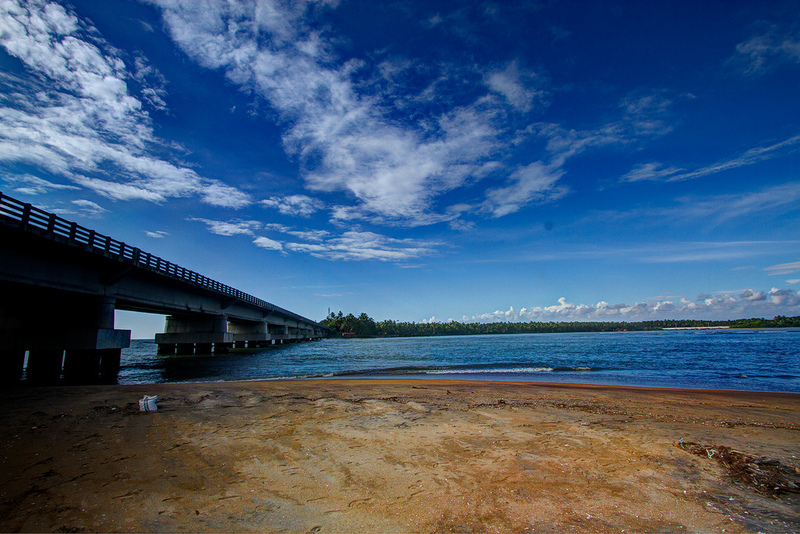 Sasthamkotta Kayal, the large fresh water lake is near to Kollam city. 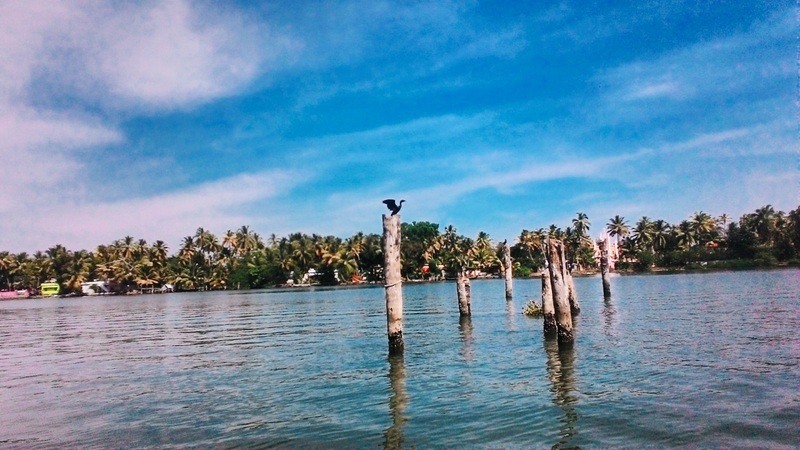 Around the Kollam backwaters of Kerala, The backwaters of Kerala offers various tourist destinations or points of interests depending upon the guests who impact Kerala backwater tourism. Places like Chavara Thekkumbhagom, st. Sebastian island, San Thome island Our lady of Fatima island, Pezhumthuruth, Kakkathruth, Pattamthuruthu, Paliyanthuruthu, Neettum Thuruth, Poothuruth, Pannaykkathuruth, Veluthuruth, Neeleswaram Thuruth, etc. These places have played a major role in promoting Kerala backwater tourism in Kerala. Along with being the gateway to Kerala backwaters, this place is also popular worldwide for coir products and cashew industry. The place also has beautiful structures, temples and monuments in traditional ornate architectural style. Every year, the backwaters of Kollam attract a good number of tourists from all around the world. During your tours to Kerala, exploring Kollam backwaters is a must. Kerala houseboat holidays are memorable moments of life if it is experienced. Every backwaters of Kerala provides backwater tour packages. Kerala backwaters tour packages price is not same in each place, it will vary according to the cruising time, the backwaters, facilities and as per the mode of houseboat. The Chettuva Backwater in Thrissur is an offbeat travel destination for people. In the land of backwaters Kerala, there are better places to visit for a backwater experience and Alleppey is the most popular of all of them. But this small temple town Thrissur isn’t far behind. With its serene beauty and exotic tropical charm, it still has much to offer. The Chettuva Backwater in Thrissur is one such place that provides an insight into the local life of the area. It is a small backwater located in the Chettuva district of Thrissur. The place with its mangrove vegetation and tropical ambience offers the exact gateway amidst the serenity of nature. It is a near perfect destination for nature lovers and photographers eager to catch a glimpse of nature. Thrissur tourism is increasing by year, tourists are coming from different countries to watch Trissur pooram. Their are lot of places to visit in Thrissur. The distance from Thrissur to Guruvayur is short. Guruvayur temple is a famous pilgrimage. Ayurvedic resorts in Kerala are mostly places in Thrissur. Kozhikode come to be one of the most unexplored and untouched parts of Kerala backwaters. These off-beat Kerala backwaters offer various different breath taking views which one wouldn’t expect. The river\canal Kallai are the favorite places for tourists to back water tours or Kerala backwater hotels. During Kerala backwaters tours around Kozhikode , Kadalundi a breath taking bird sanctuary lies along the side where Kerala backwater tours take place. Kerala backwater tourism hasn’t affected Kozhikode much which makes it a place to visit before Kerala backwater hotels over take the this vista. Tour packages are maintained according to the needs of customers. Kerala backwaters package is a must do thing in your life time for an experience. Malappuram is situated between the Lakshdweep sea on the east, the beautiful Nilgiri hills around the west.Seashores, Backwaters, hills and valleys, historical pilgrimage centres, the birth place of Malayalam literature, the headquarters of the traditional Indian medicinal method of Ayurveda, all that and more await the adventurous traveller in this particular northern component with the southern Indian state of Kerala. Arimbra Hill is One of Highest Hill in Malappuram, It is called as Mini Ooty- a tourist spot near Malappuram. There are a lot of tourist attractions in Malappuram which includes Valamthode Waterfalls, Nedumkayam, Arripara Cascades etc which are popular in Kerala. Malapuram tourist places have a space in the tourists spots in Kerala. Kerala tourist destinations are of many according to the place and for more about places to visit in Kerala check link for more spots. Drive your trip along with the Kerala tourist map. Kavvayi Backwaters located near Payyannur is the third largest backwater in Kerala and the largest one in north Kerala. The Kavvayi Kayal(Backwaters) is dotted with several small and large islands. Valiyaparamba island is the largest among them and stretches over 16 km. Located north to Payyannur, Kavvayi is the largest backwater stretch in North Kerala. It stretches from Kavvayi near Payyannur in Kannur district to Neeleshwar in Kasargod district. There are several small and large islands in the backwater adding to its enchanting beauty. The backwaters is fed by four rivers. Kavvayi backwater is named after the Kavvayi island close to payyannur. Kavvayi used to be an inland port and a major administrative center during the past centuaries. Now the importance of Kavvayi island has diminished but still there are several educational institutions in this small island as a remnant of its years pride and glory. Its the northern most district of Kerala backwaters, There is not much of an impact by the tourists but its one of the best backwaters in Kerala because of its off beat tourism.The northern most of Kerala backwaters are situated in Chandragiri river and Valiyaparamba. its one of the best backwaters in Kerala because of its scenic routes with beautiful vistas and the line of forts surrounded on the sides of river Chandragiri. The backwater tours around Kasaragod will enchant you and the loved one you’re traveling with.When you’re in Kasaragod , Kerala backwaters don’t forget to check out Bekal fort its been well preserved and filled with greenery overlooking Kerala backwaters. The backwater tours are operated on a daily basis. Pr-reservations are advised. Kasargod backwaters is one of the unforgettable places to visit in Kerala list. Kasaragod, the northernmost district of the south Indian state of Kerala, is a well-known backwater destination, which is quite popular for its coir process, rice cultivation and varied terrain with the Arabian sea on its west and the Western Ghats on its east. Kasaragod backwaters offer an amazing experience to its visitors. From past many years, Kasaragod is one of the most sought-after backwater destinations in Kerala. The backwaters in Kasaragod take you into a verdant lush landscape where 4 tiny islands are encircled by gleaming river streams, which slowly merge into the serene Kasaragod backwaters , forming an enchanting view. Kasargod, also referred to as the land of ‘seven languages and cultures,’ has backwaters that are still away from the touch of hustble-bustle of the yearly tourism activity. Just lie back on the huge houseboat, also known as Kettuvallam, cruising along the waterways, mystical islands, local villages, coconut grooves and surrounding lush greenery.